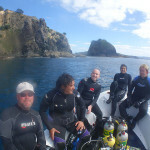 Congratulations to Kate and Sean on completing the first Poseidon Se7en rebreather course to be run in NZ. 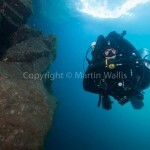 Congratulations also to Sam Campbell on completing his SSI Poseidon Rebreather Instructor course. 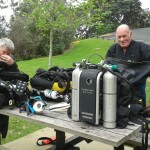 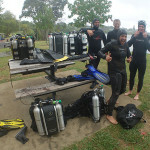 Steve Hathaway also joined in with his recently acquired MKVI Poseidon rebreather for a refresher and skills session.